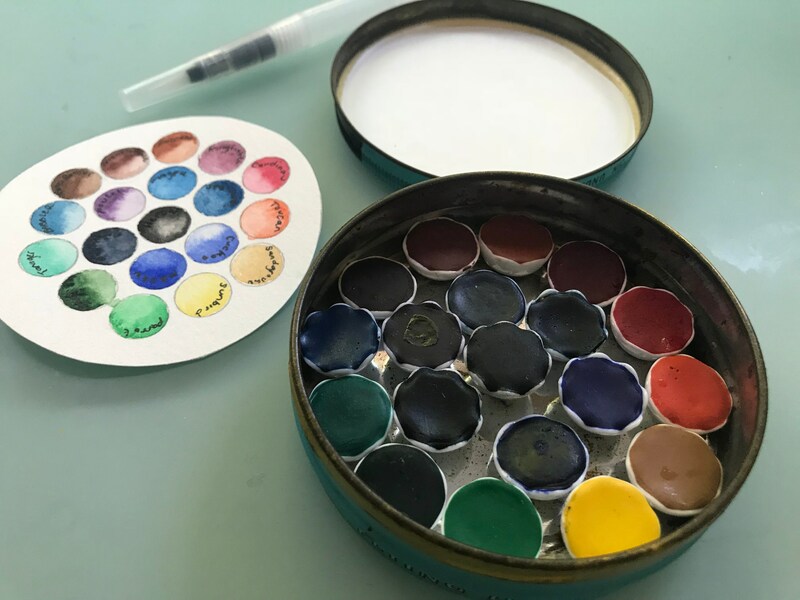 We put together this little 19 color handmade watercolor paint palette. 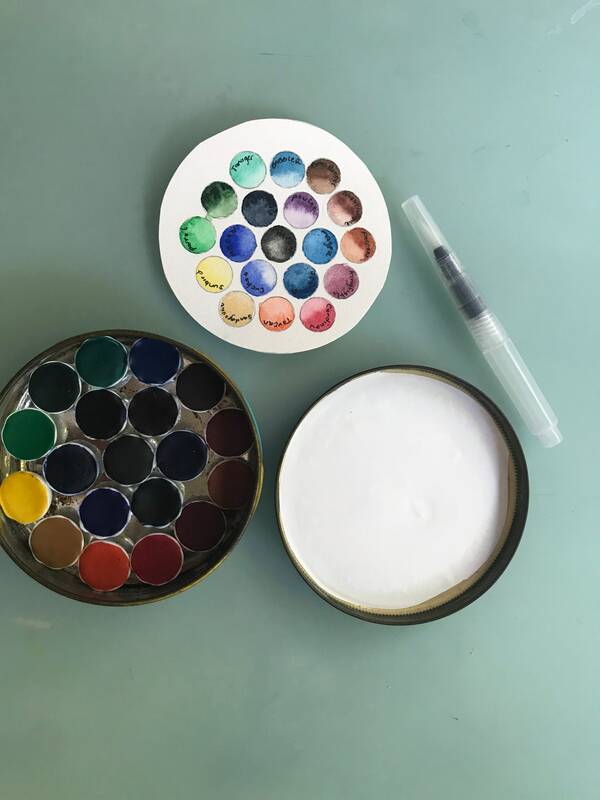 Each color is in a small round ceramic dish with small magnet attached. 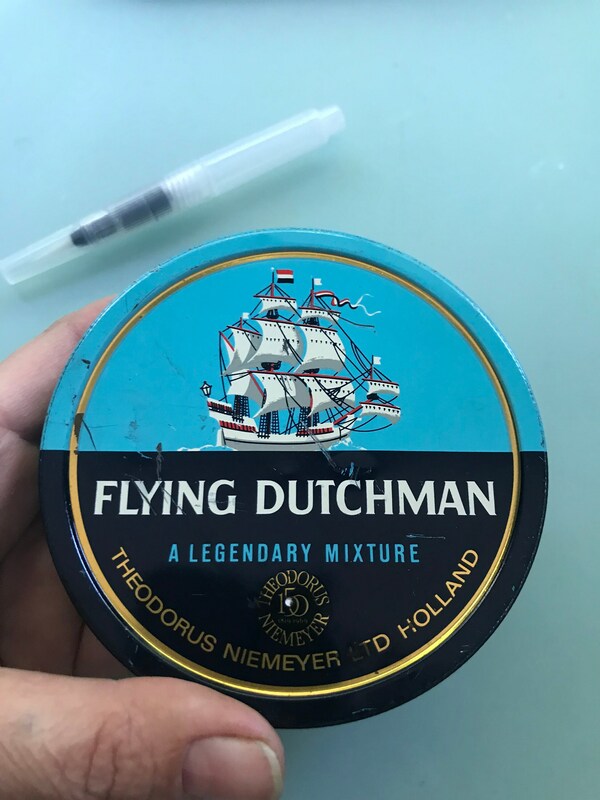 All nineteen colors fit nicely in an old vintage Tobacco Flying Dutchman Tin. OMG this is the cutest eeeever😍😍😍. The tin the paints came in is adorable and soooo unique. The colors are vibrant and spread well on paper. 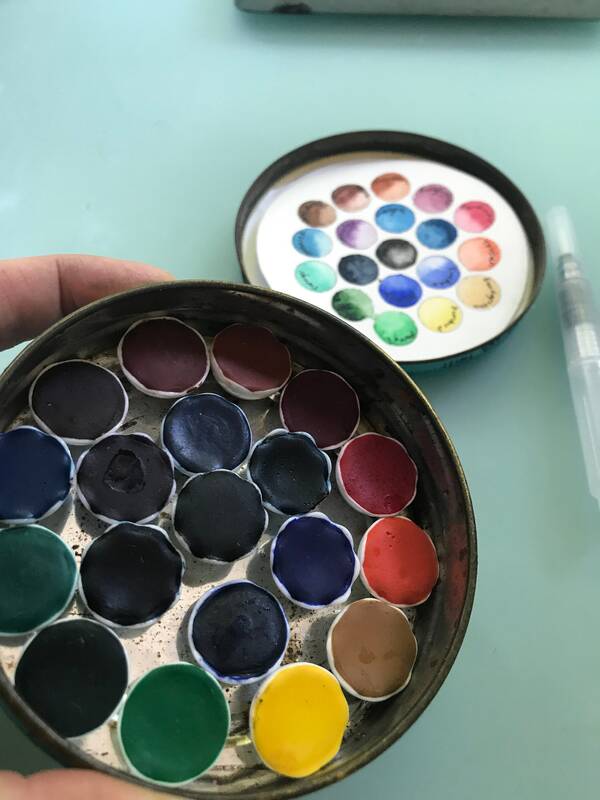 There are 19 colors so the variety is amazing and the little porcelain shells the paints came in are the absolute cutest!! 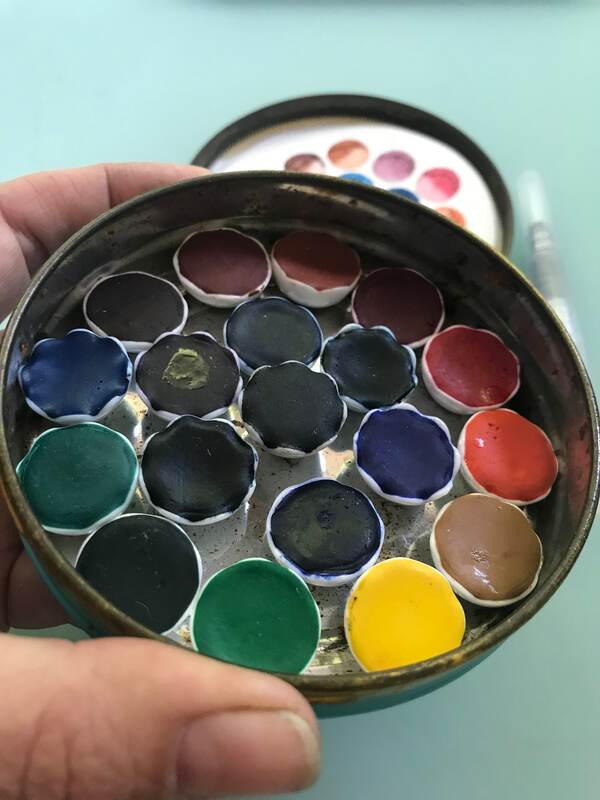 Each paint has a magnet and it came with a travel brush so I am set to go and create. Sooooo happy right now🥰❤️😍. I also want to mention the awesome customer service they gave. Buy with confidence! !